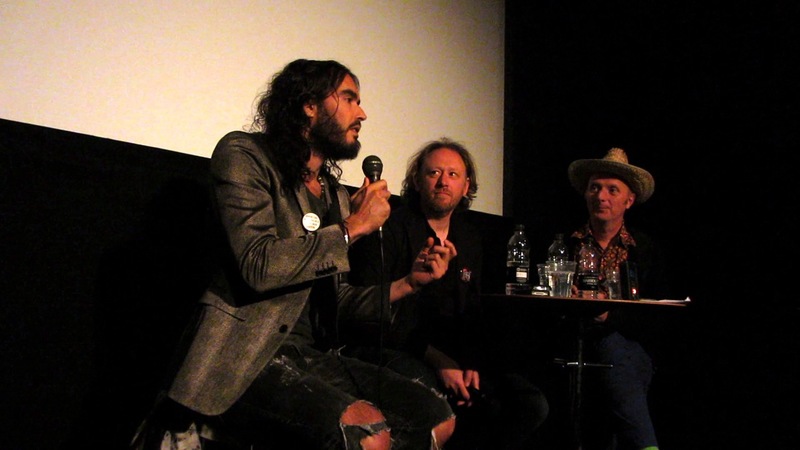 Q&A with Bob and Roberta Smith and John Rogers at Curzon Soho hosted by Russell Brand. Make Your Own Damn Art moves on to the West End with a screening at Curzon Soho on Saturday 22nd September at 4pm followed by Q&A with Bob and Roberta Smith and John Rogers. Thursday 13th September 8pm. FILM CLUB: MAKE YOUR OWN DAMN ART, w/ Bob & Roberta Smith, with director John Rogers Q&A, part of SCALA BEYOND and a chance to bring your own damn art to exhibit at Sugar House Studios on the night. Bob & Roberta Smith invites you to bring along Your Own Damn Art to the screening creating a pop-up Leytonstone Centre for Contemporary Art in Stratford for one night only. Bring your paintings, sculptures, drawings, photographs and other art works to add to the infamous LCCA. Delighted to announce that Make Your Own Damn Art will be screening in London’s Portobello Film Festival on Tuesday 4th September alongside a fantastic programme of art themed films including a rare film of a young David Hockney. The ‘World Premiere’ of Make Your Own Damn Art was announced yesterday at the Press Launch for the East End Film Festival. The screening will be on Saturday 7th July at the Rich Mix Cinema, Bethnal Green Road, London E1. Before the screening Bob’s band, The Ken Ardley Playboys will be doing a gig in the bar. The Ken’s music is featured throughout the film – so it should be a bit of a special occasion.